UAE National Day History - What Brought the 7 Emirates Together? As the UAE National Day approaches, we delve into the history of this glorious day and it’s significance. In the year of 1971, the rulers of six emirates including Abu Dhabi, Dubai, Ajman, Sharjah, Al-Ain, and Umm al-Quwain had agreed to form the UAE – United Arab Emirates. Two months later in February 1972, the emirate of Ras Al Khaimah had joined its hands to form a united country. The proposal of a united colonization in UAE had begun after the British proclaimed to leave the protectorates. Following this Sheikh Zayed bin Sultan Al Nahyan (the federation’s first president) and Shiekh Rashid bin Saeed Al Makhtoum came together and mutually decided to form a united country, inviting the other Gulf Emirates to join hands. On December 1, 1971, the Emirates federal constitution was approved. The very next day, on December 2, the rulers of seven emirates met in the hostel in Dubai (today’s House of the Union) and celebrated the begin of a new era with UAE National Day. No doubts, but Drive Yas Marina Circuit is the major crowd puller and top attractions of Abu Dhabi. 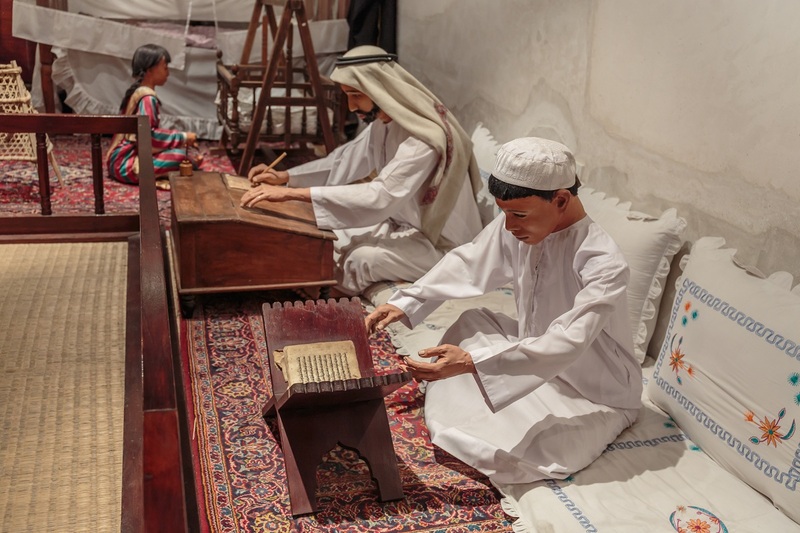 Launched in 2009, this is the liveliest and one of the major attractions in Abu Dhabi. The circuit hosts the Formula 1 Grand Prix. A trip to Dubai is incomplete without a visit to the magnificent Burj Khalifa. The observation deck on the 124th floor is must if you wish to catch a glimpse of the glitzy city from the top. 7 days a week, from 08:30 am to 10:00 pm. Note: The last entry 45 minutes prior to closing. Al Zorah Nature Reserve is a natural choice. Mangroves, turquoise lagoons and sandy beaches surprises the visitors and captivate their attention. Including the flamingoes, the reserve has 60 species of birds. 7 days a week, from 09:00 am to 6:00 pm. Visit to Fujairah is incomplete without a trip to Grand Sheikh Zayed Mosque. The mosque is second largest in the country and can accommodate up to 32,000 worshippers at one time. Don’t miss the world’s longest zipline (Guinness World Records) at the Jebel Jais Flight. It takes 1 hour to complete the tour. The view from the top and the speed is thriling. Timings: The first trip starts at 8.00 am and last trip at 9.30 pm. There is a trip in interval of every 90 mins approx. P.S: Book your tickets in advance for UAE National Day holidays as it may be tough to get ticket on arrival. Al Noor Island is the star attraction in Sharjah. The island has interesting mix of art and nature with gardens that have modern art sculptures and installations, created by some of the world’s most renowned artists. The butterfly house is a must in your itinerary, where an approximate 500 different butterfly species can be seen. 09:00 am to 12:00 am on Thurs & Fri.
Islands are the major attractions. The biggest island being the Al Seniah which has Arabian gazelles, falcons and turtles. Go for recreational activities like sailing to skydiving or take a pick from traditional activities like dhow building and sports such as falconry and camel racing. Make a stop at Dreamland Aqua Park resort, you won’t be disappointed for sure. What day is UAE National Day 2018? UAE National Day 2018 falls on Sunday, 2nd December. So, it’s a long weekend with 3 days holiday in stretch. The UAE’s national anthem translated into English is Long Live my Nation. The anthem was initially composed by Mohammed Abdel Wahab. Who designed the flag of UAE? The designer of the UAE’s flag is Abdullah Mohammed Al Maainah. 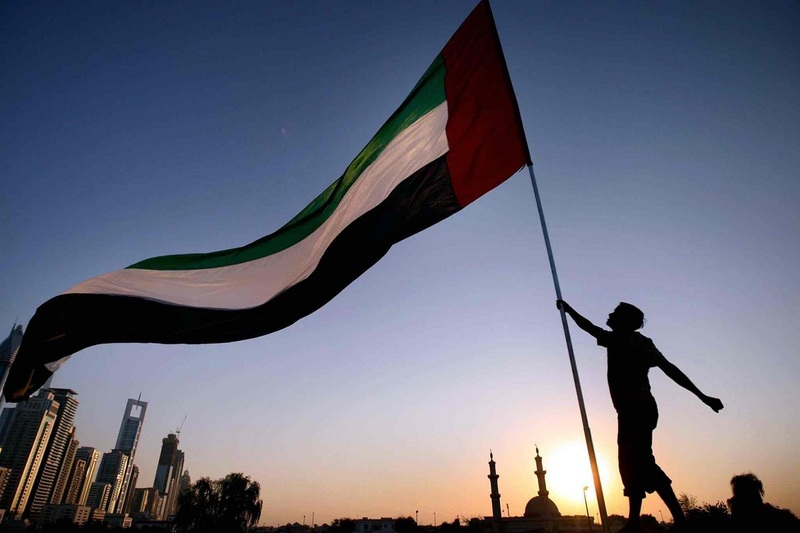 The flag was first hoisted above Mushrif Palace in 1971.
Who was the first president of UAE? His Highness Sheikh Zayed bin Sultan Al Nahyan was the first president of the UAE. Who is the president of UAE now? His Highness, Khalifa bin Zayed Al Nahyan holds the position now. Who is Highness Mohammed bin Rashid Al Maktoum?